Professional cake decorators will tell you that the secret to a beautiful cake is straight sides. 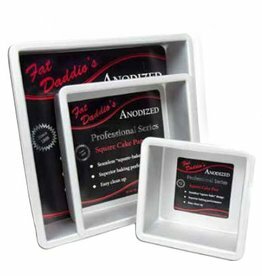 Fat Daddio's square cake pans bake square corners and straight sides so cakes can be perfectly stacked for professional results every time. At eCake Supply we make baking and decorating easy!